We have plenty of new products in the Fun Fair collection including the release of two coordinating dies, create stunning paper projects with the brand new carousel and ticket designs that both cut and emboss. Also look out for the pretty glitter enamel dots that are sure to add a sparkle to your crafting. 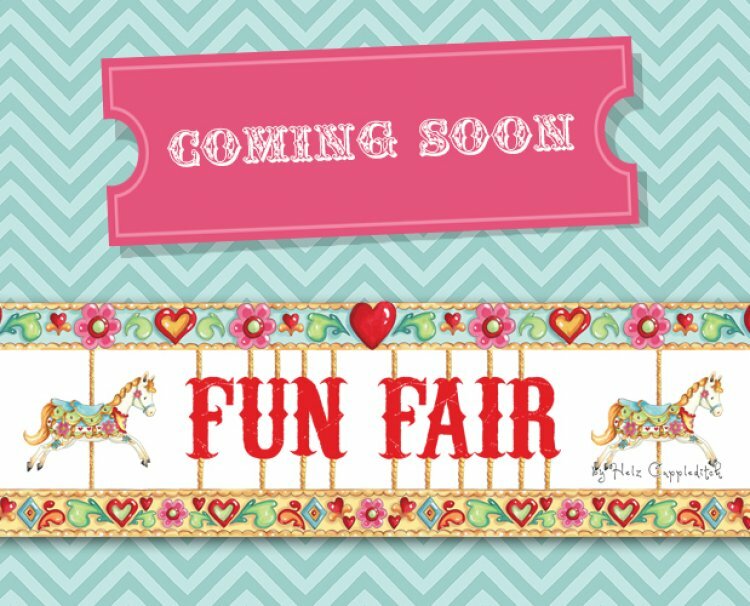 The Helz Cuppleditch Fun Fair collection will be available in stores from the first week of March 2014.